What do you get when you combine one of the most popular promotional products with one of the most popular bubble gum mascots? 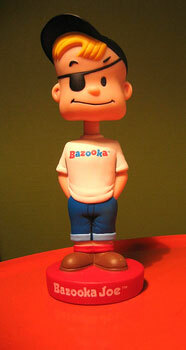 Bazooka Joe bobblehead, of course! If your brand has a popular mascot, start using him/her/it in your promos!